I’ve had several people ask me about Plantains lately so I thought they deserved their own post. 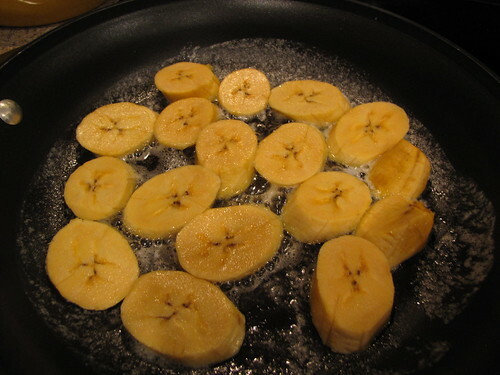 Plantains or Platanos (yes, that first “a” will get the proper accent when I get home to my better computer) are obviously relatives of the banana but must be cooked to be eaten. Buy the plantains that look pretty gnarly or let them ripen on the counter. Lots of black splotches or even almost all black plantains will get you a subtle, sweet, and delicious side dish. Most restaurants that serve plantains deep fry them but they are even better when cooked very simply with butter. Butter makes everything better. I’m pretty sure I could make money selling that on t-shirts. 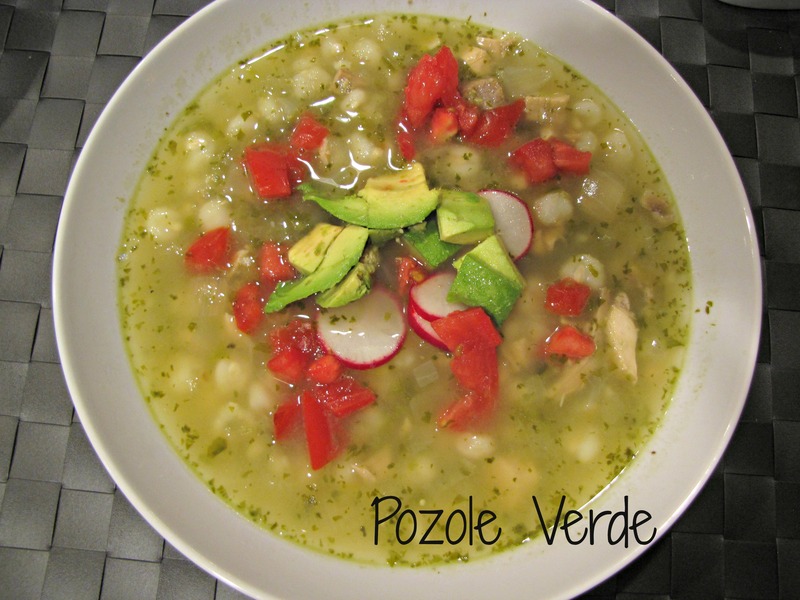 This is so simple that it’s not really even a recipe. 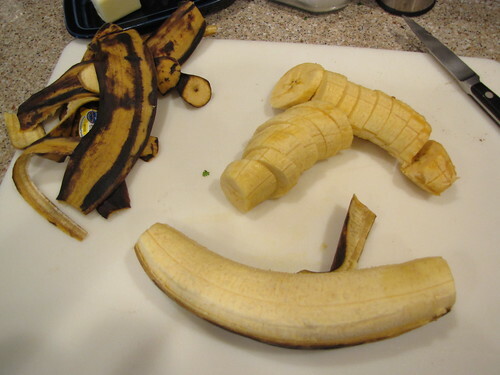 Unlike bananas, plantains are difficult to peel by hand, like a monkey. It’s much easier to cut off both ends and use a sharp knife to slice lengthwise through the skin. Then you can simply peel it away in strips. 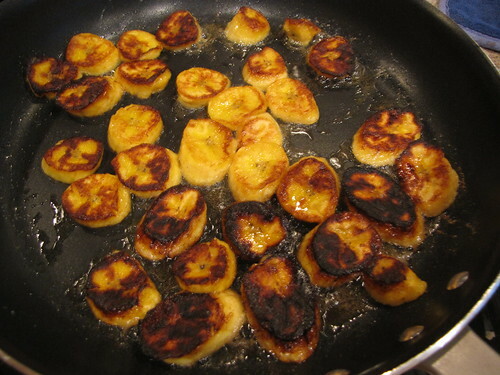 Cut the plantains into thick slices. I usually like to cut mine on an angle so you get more oblong shaped slices than round. This gives more surface to caramelize in the butter. Two big plantains is probably enough to serve 3 normal people but we are plantain hogs so I always buy one apiece. 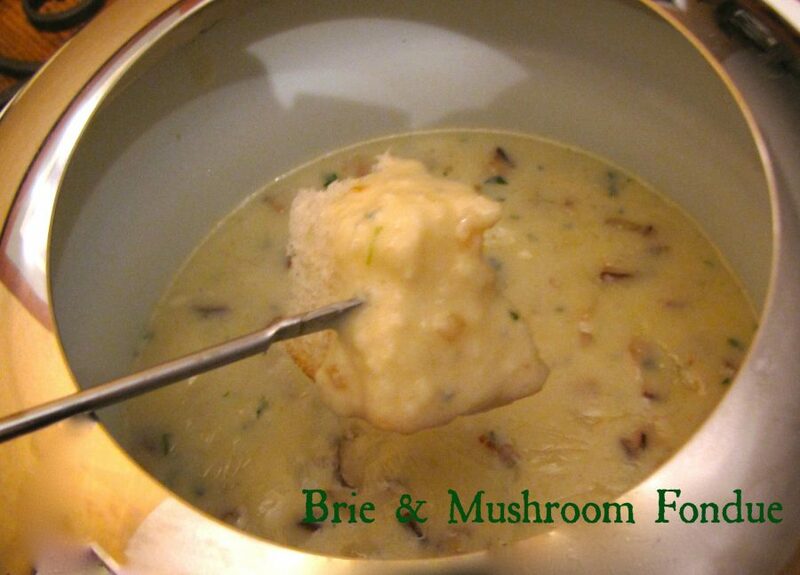 Melt 2 Tablespoons of butter in a big skillet. I have non-stick to make clean up easier but any skillet will do. 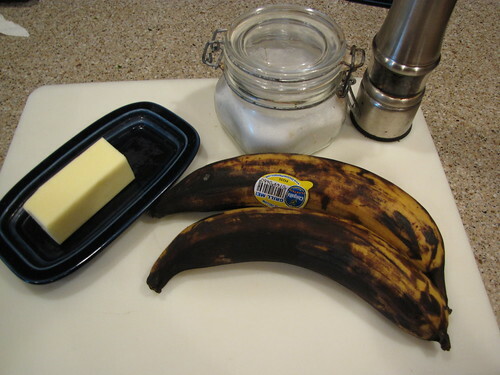 When the butter is foamy, add the plantain slices in a single layer. Cook over medium heat until nicely browned. If they get a little dark as you see here, all the better in my opinion. They get this nice crust on them but the inside is still soft. Unlike bananas they will not fall apart when they cook. Several people have asked, but bananas are bananas and plantains are plantains. I don’t ever think of them as being good substitutes for one another. When they are golden, flip them over and cook the other side. You can season them with salt & pepper if you like but I usually just eat them right out of the pan. Sometimes they even make it to the plate. I know I’ve gone on and on about plantains before, but they make a wonderful alternative to the normal old sides of potatoes, rice, or pasta. They’re just starchy enough if you have a little sauce for dipping, or just great all on their own. 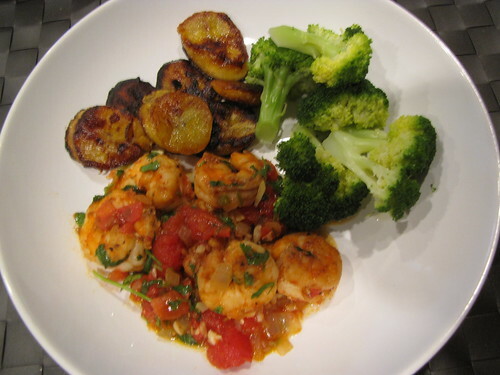 Here they are with Shrimp Mexicana (recipe coming soon) and broccoli. 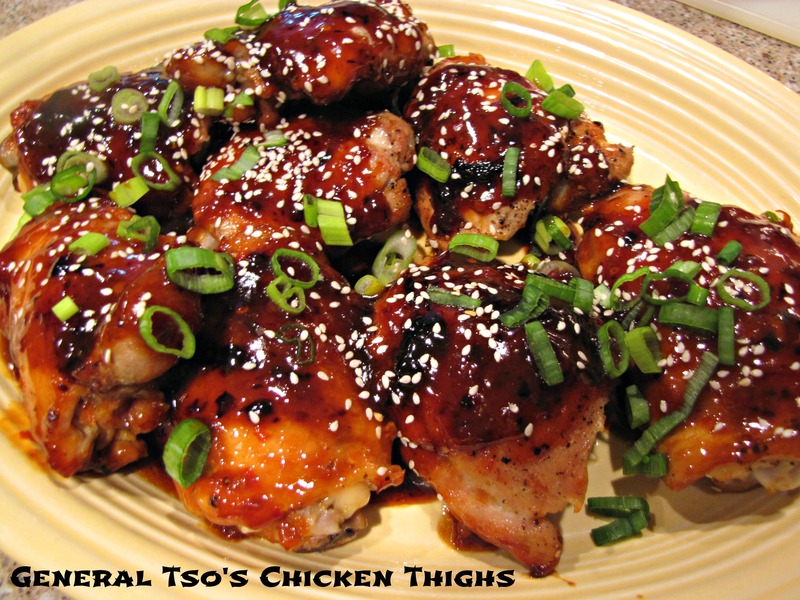 I also served them with Honey Mustard Chicken and I LOVE them with Yummy Oven Glazed Chicken Thighs since they’re perfect for dipping in the savory sauce. Let plantains into your life. You’ll be happy that you did! 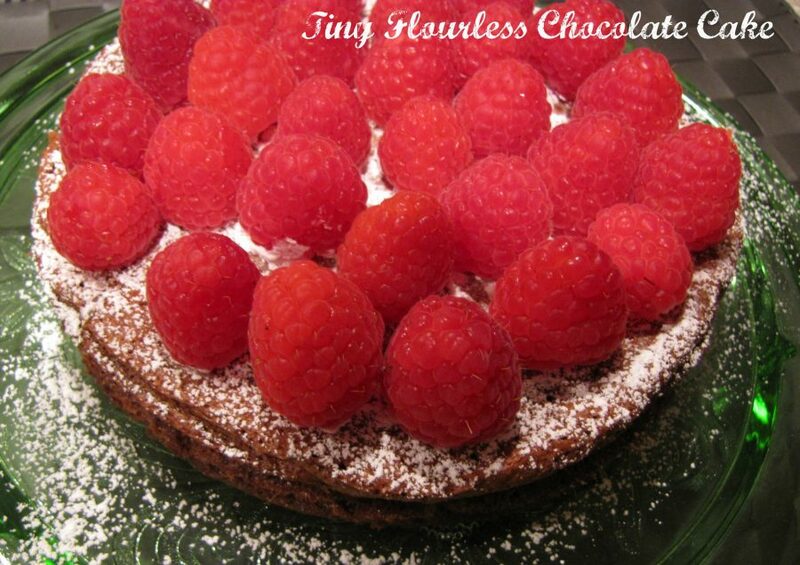 I didn’t make a printable recipe since this is so easy but let me know if you want one. I have to tell you that I was stumped by these and recently stepped out and tried them. They are wonderful. I toss with oil and put them in the oven. I turn them over half way then lightly salt . We are both in love with them. 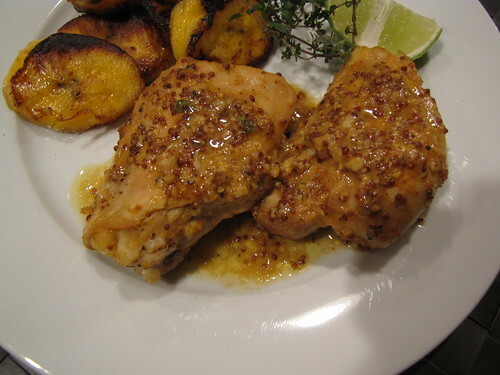 I just found a recipe for grilled plantains yesterday, which I also must try. I’m thinking that two plantain recipes in two days is A SIGN! I saw you over at sweet Gary Rith’s blog. It’s nice to meet you. Glad you came over from Gary’s blob! So, why are you buying all those brown bananas?? 🙂 I’ve never done anything with them aside from eat them fried! I should try them…..and the shrimp dish looks amazing. So, do you need more incentive on making those t-shirts? I think its a great idea!! !